Hopefully you or your students have bought the basic bits mentioned in the previous posting and now you want to get yourself a bow. I would always recommend a simple 3 part take down recurve to start with. My first bow was a Samick Polaris 3 part take down which was about 30lb in draw weight. After a few months I bought some new limbs and settled for 37lbs at my draw length. I shoot field archery as do my students, so I’m not looking for a hunting bow. A simple recurve can work for target or field. Can shoot it instinctive with wood or metal arrows for HT BB (sorry Hunting Tackle or Bare bow) or you can add sights. Lots of people have experience of this type of bow so lots of advice out there. Good to gain confidence with and return to potentially. A friend (Adrian) from my old club Black Arrow shot one of these for years and got just outside the top 15 in the NFAS national championships. So don’t think that because they are entry level they aren’t any good. It is also good to go back to if you develop bad habits or have an injury. I had a car accident a few years back and went back to light recurve to rebuild strength back. When will you be shooting? Remember in winter months you may be wearing gloves, so you need to find the one that feels right in your hand. Partly due to our sedentary life style these days too much tv and not enough exercise, many of the muscles you need to use in archer are under developed, so over bowing is a serious problem. In young archers it can have a negative effect as their bones are still growing and developing. 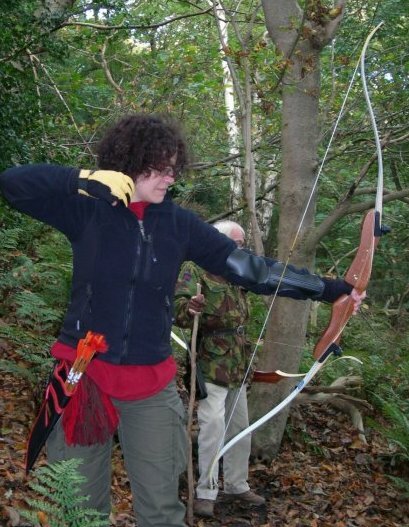 Also remember you might take a break from archery for a couple of weeks due to work commitments, holidays etc and it doesn’t take long to lose muscle tone. Risers – Metal risers are heavier than wood, carbon are lighter than both. Problem is Carbon risers are very expensive (several hundred pounds for riser alone) and not ideal for a beginner, so give some thought to the physical weight of the bow assembled not just the draw weight. Draw length is very important; in fact it’s vital as this will possibly restrict your choice of bows. If you have a long draw then short bows will not feel comfortable. If draw over 28″ look at 64-66 at least in my view. Between manufacturers limbs will feel different even if they are the same draw weight, and will release energy differently depending on what they are made from. Don’t go for heavy draw weight limbs initially, you can always upgrade later. Short bows tend to work for people with shorter draw lengths, Sharon loves small bows but her draw is only 26 inches. She shoots a custom made bow (Blackbrook bows by Andy Soars) this comes in at 38lbs at 26 inches. If I were to try to draw Sharon’s I struggle to get past 26 inches as it stacks past 26” because it has been designed and built for the best performance at 26” My draw is just past 29 inches and all my bows are set so I can draw smoothly up to my full draw, with an even increase in draw weight. Never draw a bow that has been designed for another archer without their permission. If you have a long draw length then go for a longer bow 64 inches plus. People will have had experience of bows, shops etc so its worth talking to others in your club. I tend to offer to go with any new student when they go to buy a bow. 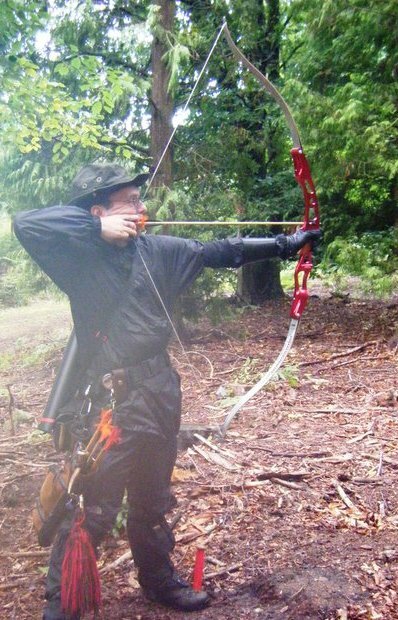 I’ll try to put one last posting on what to consider after you have got your bow, maintenance or bow and string, bracing height and soemthing on arrows. Excellent entry, will be helpful to many, thanks for the mention! Thanks Charles you have a great blog. glad you like posting. hopefully it will be of use.